Christmas morning, I found myself cleaning the remains of a chicken and stuffing out of the Crock Pot, to make way for the roast I was going to crock—which I suppose made it a crock rather than a roast. As I scooped stuffing from the pot, and rent that flightless bird’s flesh from its bones, I came across a fully intact wishbone. I paused in my work, rinsed the wishbone, and set it on the kitchen windowsill. Not quite a partridge in a pear tree, but you take what you can get. Continuing on with the operation, packing the chicken and stuffing away, neat and tidy in Pyrex containers, then prepping the roast…er, crock…the tradition of wishbones rolled around in my head. I’m not talking about the origins of the whole wishbone thing—where it came from, who was first to practice it, but rather, the more personal memories around it. I can’t say as I have a whole lot of specific personal memories around wishbones. 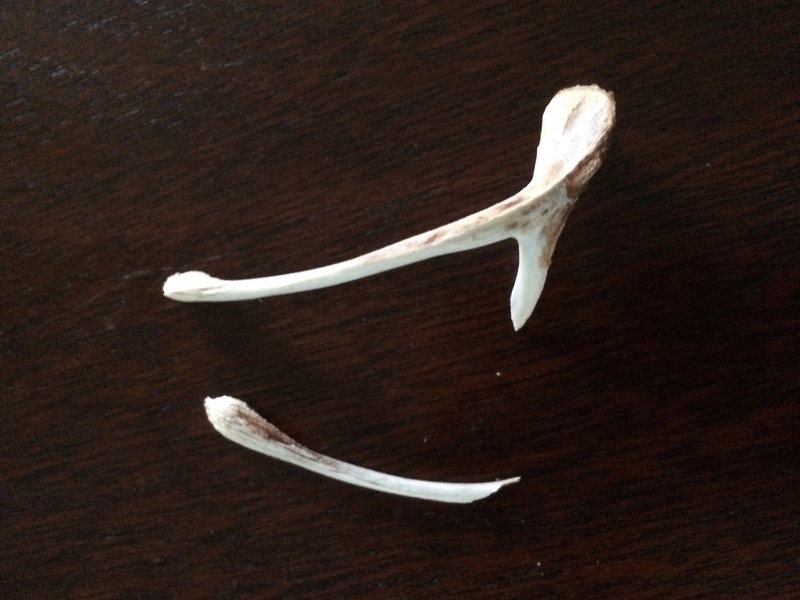 I know if mom was cooking a chicken, then there would be at least a minor squabble around who would get the wishbone—or, perhaps more accurately, when somebody found the wishbone, there would be a minor dispute around who would get to break it with the lucky discoverer. If one of my older brothers came across it, there would be inevitable teasing, just to see if they could get a rise out of one or more of us. And then there was that time I won the wishbone-breaking contest and was rewarded almost instantly with the new bike I had wished for, and then felt bad because I could’ve wished that my cousin Brad’s hypochondria would be cured instead. Okay, that never happened. I don’t even have a cousin Brad. I thought on how I had witnessed my kid and her best friend, when they were probably about seven years old, engage in the wishbone-breaking contest immediately on finding one during dinner, despite my having never taught/explained it to my kid. There is, perhaps, some lesson in there about kids picking up all kinds of things beyond the specifics of what their parents teach them, but I’m not really sure what to make of that, or its importance. Weird things permeate the culture? I failed in this particular instance of ensuring that I was the one to pass a bizarre superstition on to my offspring? I briefly entertained the question of whether two people could conspire to wish the same thing, thereby increasing the chances of the wish coming true. After all, so long as they didn’t speak of it afterward, they couldn’t truly know what the other had wished. A wishbone technicality would still invoke the magic—right? At any rate, as soon as my wife got up from her mid-morning nap, and got herself a cup of coffee, I presented her with the wishbone. She immediately grabbed hold. I warned her she needed to think on her wish. She closed her eyes briefly, then gave me the nod. After a few seconds, she remarked on how the wishbone was too wet (from its days packed in chicken-fat-soaked stuffing at the bottom of a crock pot) and not likely to break. She relaxed her effort. There was a brief pause where I hadn’t quite processed what she said or did, and continued on with the match. Then, just as I followed her lead, conceding that the wishbone was, perhaps, too saturated to complete the fight, she resumed the pull, and…snap. She won. Was it a brilliant strategy, or dumb luck? I didn’t ask, just conceded. Victory was hers. I like to believe she wished for something like I wished for…you know, that silly garbage about another year of relative happiness, good health, and enough stuff. Still, I daren’t ask. Because maybe she did wish for that same silly garbage. Or maybe she wished for world peace. Or maybe she wished for a new bike. Or maybe something much better…or much worse. But whatever it was, I don’t wanna jinx it. 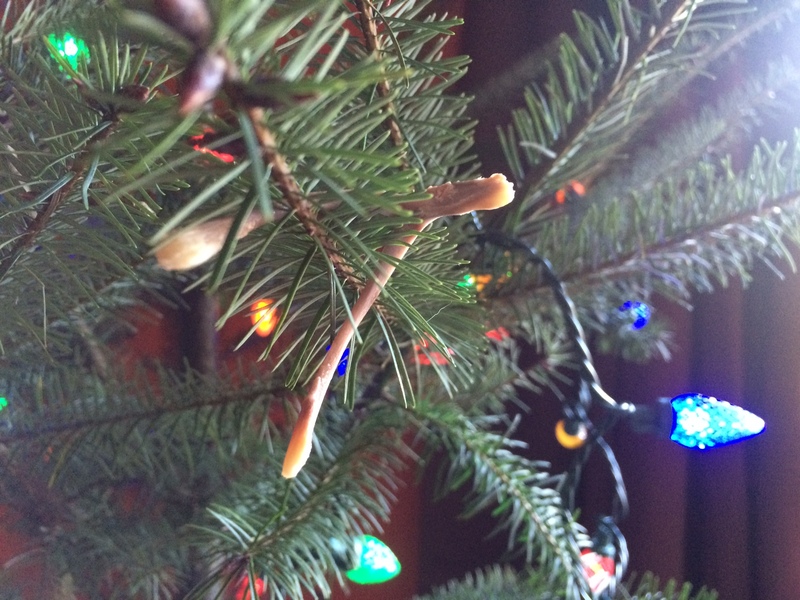 This entry was posted in Childhood, Christmas, Faith, Holidays, Luck, Ritual, Superstition, Tradition, Wishes and tagged Christmas, Faith, families, Mental Health, Parenting, Psychology, relationships, superstition, Tradition by jcschildbach. Bookmark the permalink.